Today I want to talk about one of the games we have currently in progress. 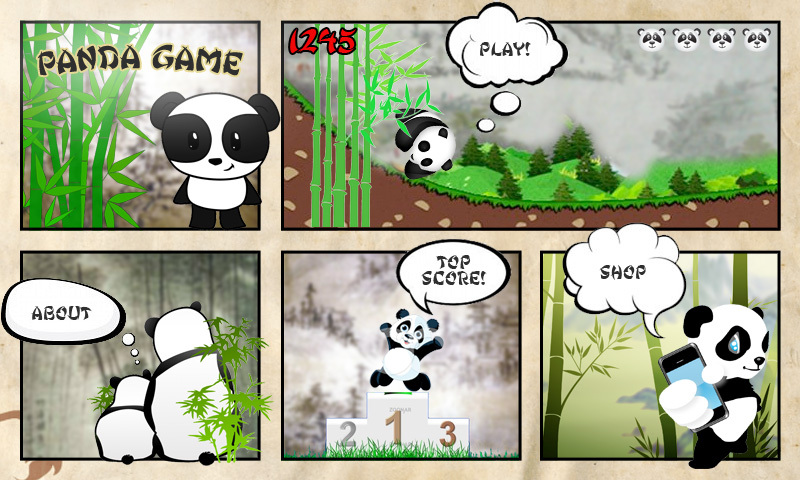 The game’s name is Tumble Panda, it’s a physics based casual game and so far, we have never shown it to the public. 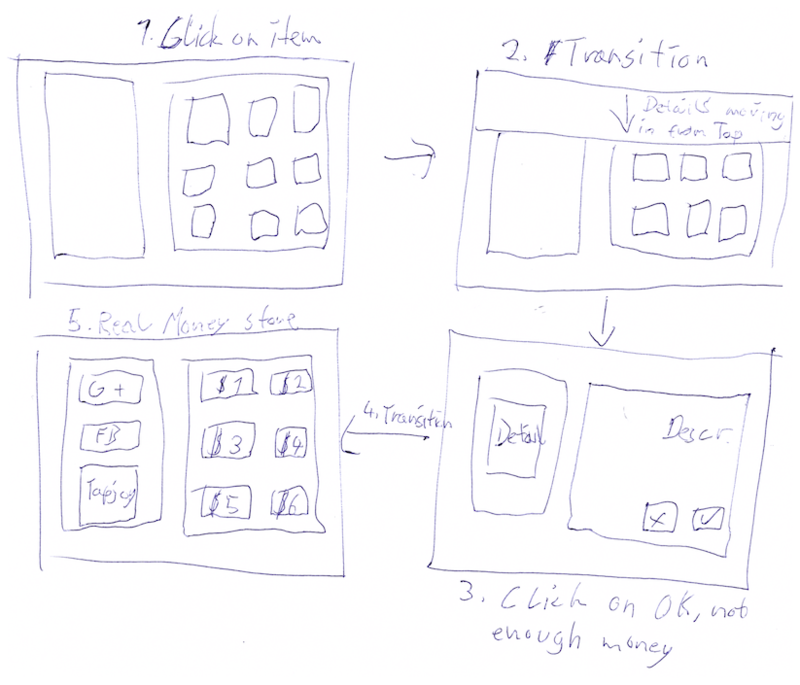 In this post will cover the process of creating the menu. We are not done yet, some assets are still placeholder. But I think you will get the Idea of the concept, both in terms of design and user experience. 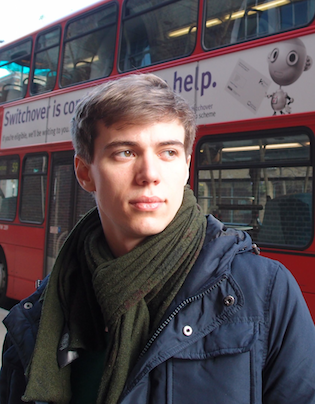 Fortunately we are in the lucky position of having a lot of great people supporting us at Andlabs. That’s especially true when it comes to graphics design. 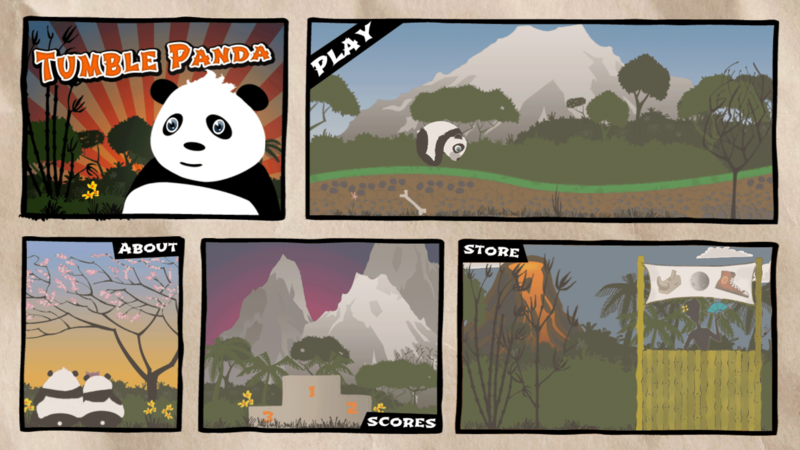 For Tumble Panda, our lead graphical hero, Fabian, and his friend, the illustration-master Darren, are helping us. Especially the last point seems to be mutually exclusive with most of the existing monetization strategies for mobile games, but that will be part of another post. Back to the menu. One of the first steps we took was to decide on the overall setting the game should be in. Since Darren is a great fan of comic books and the main character was set to be a Panda, we decided to have a combination of a comic and an asian style. This draft very clearly shows the basic structure. 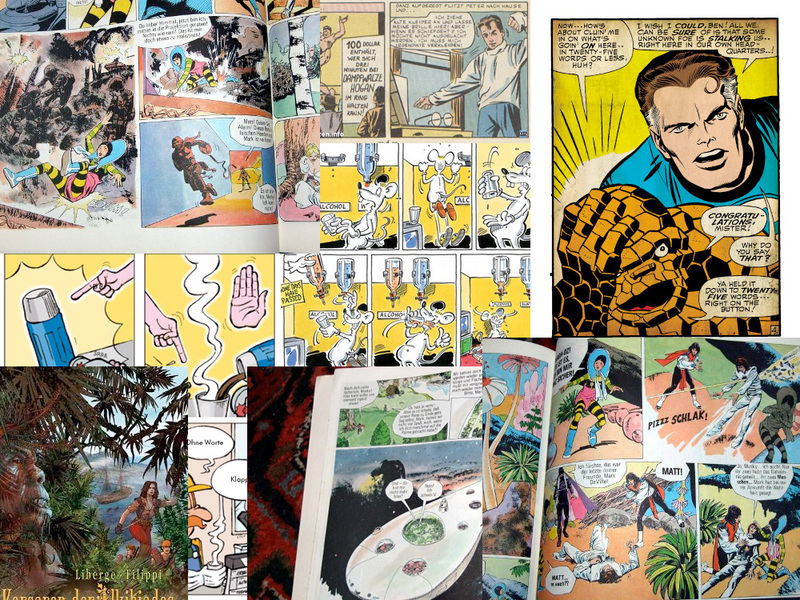 The different entry points to the submenus are comic tiles. The importance of the different submenus is shown by the tile’s size. As you can see we already balanced the importance of the different submenus a bit by changing the sizes of the tiles in the main menu. On the top left stays a promo graphic. 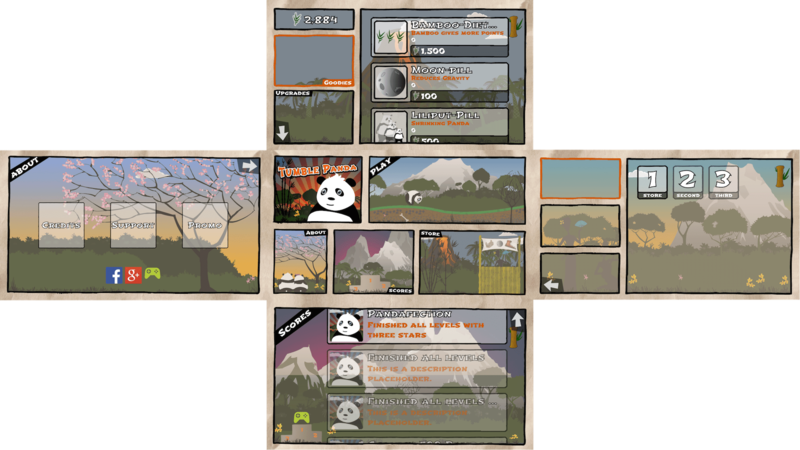 On the top right is the most important part of the screen, the tile that leads the user to right, to the menu in which he can select the level he wants to play. On the bottom left is the least important, the ‘about’-button, which leads to a submenu on the left. 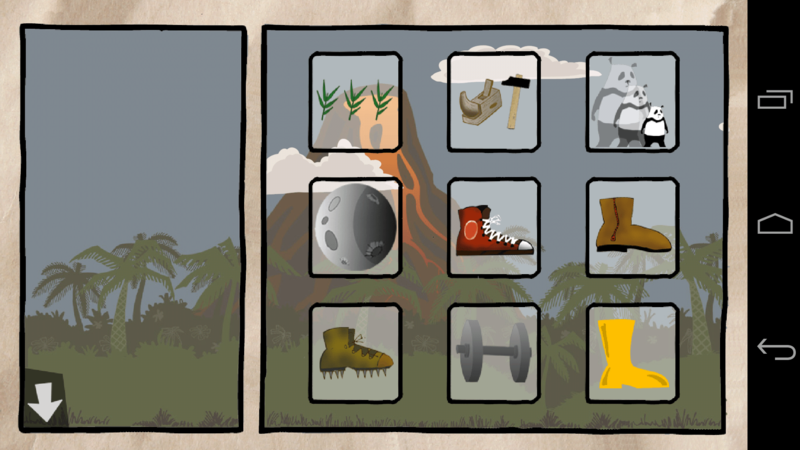 In the center is the ‘highscores’-button (which will soon change into ‘achievements’), that leads down and on the bottom right is the button that is most important for us, the button which leads the user to the store. Controversially this button navigates to the top instead of the right, as one would expect. We decided to implement animations that don’t make a lot of visual noise in the menus. The movement from one menu to another is simply done with a move animation with a cubic ease in and out. 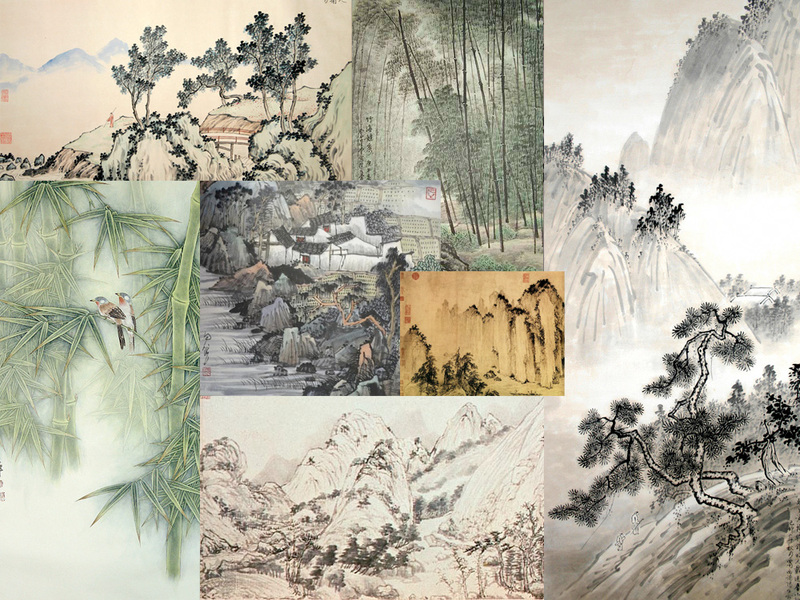 Please notice that the final design of the main character is not yet decided, which is, why you can see three different types of Panda illustrations in the above screenshot. The clouds that are visible in the background of the store-tile are constantly moving. This kind of moving clouds can also be found on each of the submenus. 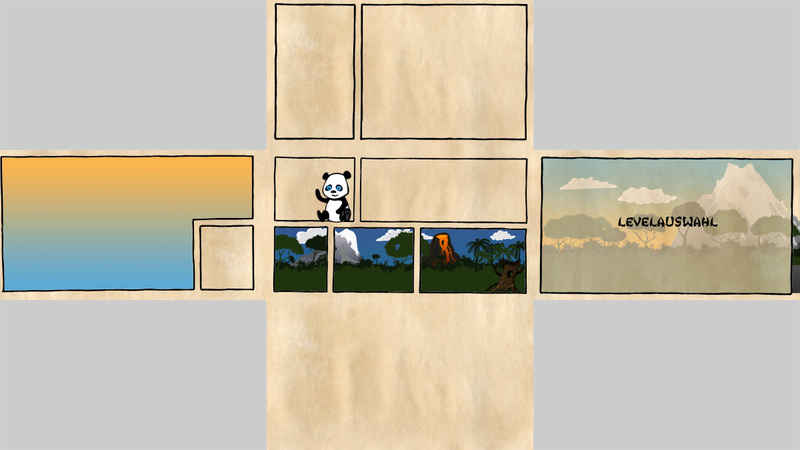 Furthermore the Panda in the play-tile is moving (‘tumbling’) from side to side. 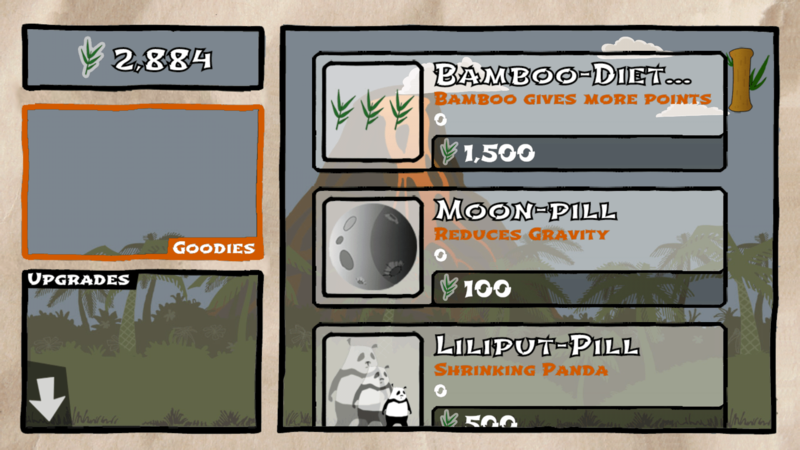 You will notice the two placeholder-graphics on the left side, saying “goodies” and “upgrades”. This areas work as tabs. 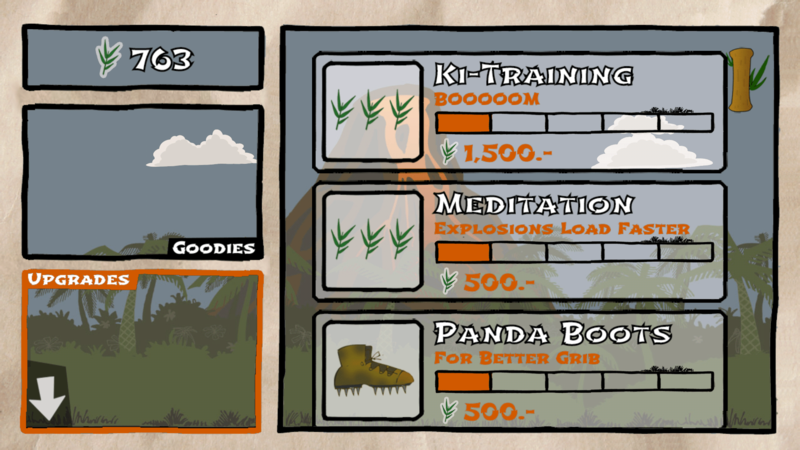 The transition between the “goodies” and the “upgrades” content in the list on the right side is done by an animation that moves the complete list out of and then back into the screen, with changed content. The same animation is used when switching between different worlds in the play-submenu. That’s almost all we have on animations in the menus. A bit more is to come when I will write about our store. While it is obvious that some of the graphics will still be exchanged, you probably get a good picture of where we want to go with this game. Since it runs in immersive mode when possible, every screen also has its own software back button. 6 Too little moving images! In the next posts I will talk in a bit more detail about the thoughts we had on the individual submenus of the game. In the meantime, while I think the menu we’ve created is pretty awesome, I’m really curious for your feedback. This is Tumble Panda’s first public appearance on the internet and I’m very curious about the impression it gives you – so please give me the honor of sharing your honest opinion with me.